Hit Waves Strings provides the perfect musical touch for any occasion! Our musicians are among the highest quality professionals in their field, and are willing to work with you to accommodate all of your musical needs. We offer many ensemble formats ranging from a solo string instrument, to duo, trio, or string quartet. 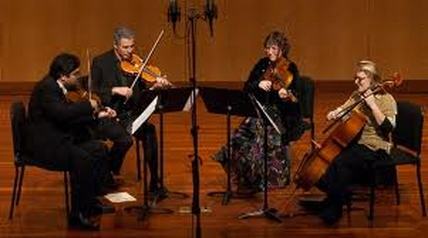 Please scroll down this page to find some audio samples of our trio and quartet. Our repertoire is vast and is comprised of classical, popular, religious, jazz, international, broadway, pop/rock and folk styles. We do take song requests and will happily find music or arrange a few tunes for you. Some past requests have included Beatles, Coldplay, U2, and many of the same songs played by the Vitamin Quartet and a lot more! For current song list, click here.